SHOWS LIKE A MODEL HOME! THIS MOVE IN READY HOME IS LOCATED IN THE GATED COMMUNITY OF MOSSWOOD. ONE STORY HOME WITH GREAT OPEN FLOOR PLAN AND SPLIT BEDROOM PLAN. SCREEN PORCH COMPLETES THE OUTDOOR LIVING SPACE AND ENHANCES THE INDOOR LIVING SPACES. 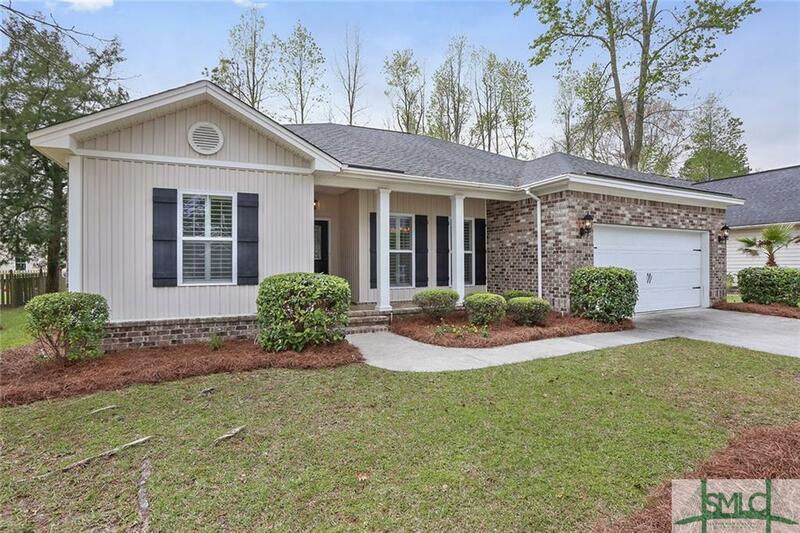 FIREPLACE,WHIRLPOOL TUB IN MASTER, PLANTATION SHUTTERS AND MANY DESIGNER UPGRADES. GREAT NEIGHBORHOOD WITH POOL AND CLUBHOUSE ON THE WATER. CLOSE TO SHOPPING AND EASY ACCESS TO HWY 204 AND I 95.